Hey peeps! 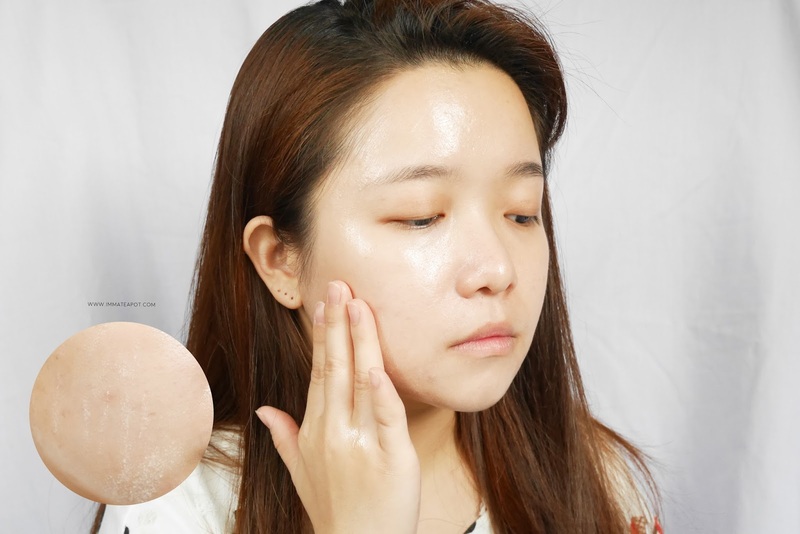 After some quick prep on makeup for this Christmas, here comes the skincare part, which is also my current daily skin fix before and after work with belif! It is always more than exciting when you receive gift sets from anyone! I am too lucky as I have received quite a number of Christmas gifts from the PRs! Much loves! Before getting into the products, here are the tiny brief on the brand story itself.
" belif, believe in truth. It is the most truthful and sincere cosmetic brand where completed its formulation with traditional approach - Natural herbs. With the traditional herbal processing method that passed down by the British herbalists, the belif products aim to treat the mind and body in order to maintain the ideal skin's condition." In this post, I'm going share about the belif sets that I've received lately and how it becomes my current daily skin fix. The belif sets come with a Cleansing Oil, a Oil Control Moisturizer, a Aqua Gel Oil and a Tinted Moisturizer Powdery BB. Suncare is a must step for me ever since I started to attend classes in University. Never ever skip this step as it is indeed important to shield our skin against the harmful UV rays. Beside preventing the skin from sunburn and tanning, there are more reasons for why you should wear sunscreen! 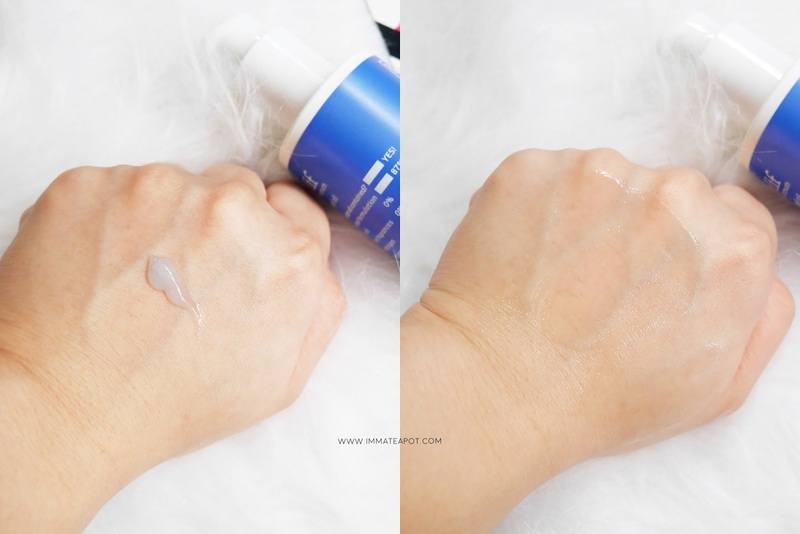 I have been using the belif Tinted Moisturizer Powdery BB SPF43 PA++ , whenever I attend to work. I love how it works on my skin as a combination of BB Cream and moisturizer. It comes in a creamy texture in light beige color, accompanied by a soothing herbal scent. 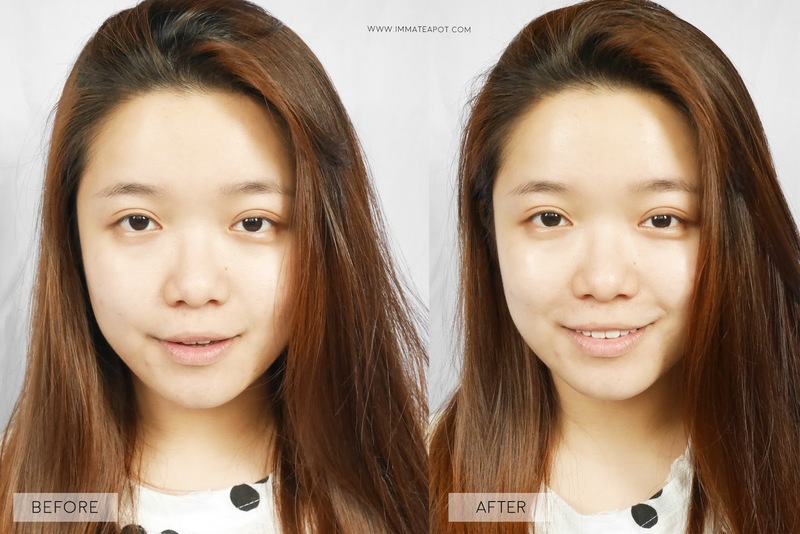 During the application, it is super easy to spread the bb cream out and evenly on the skin. The bb cream blends well into the skin and turns from cream into light powdery texture, leaving the skin with semi-matte and glowy finish. 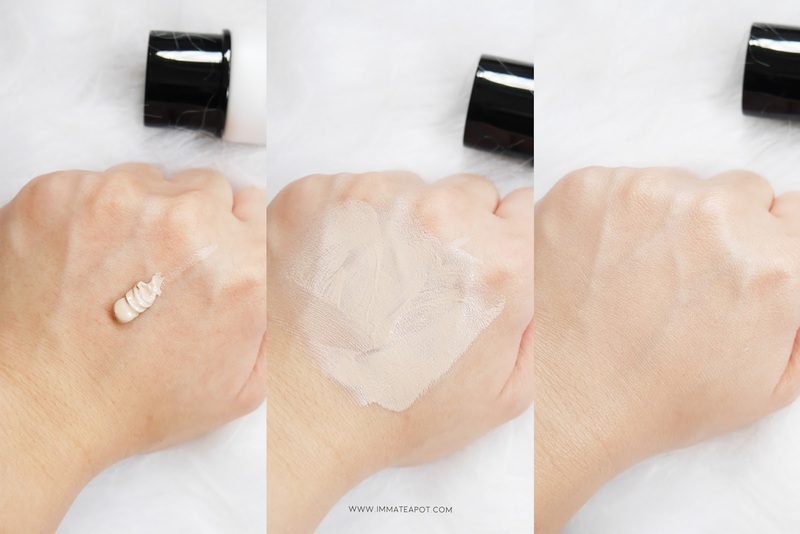 Unlike the usual sunscreen that gives a white cast on my skin, this tinted moisturizer powdery BB blends so well into my skin tone that gives a natural light finish with radiant complexion. It looks super natural on my skin, with light coverage that is good enough to smoothen my skin texture and cover up some tiny flaws, while moisturize my skin! Surprisingly, it doesn't really make the skin oily throughout the day. Throughout the day, I believe that we accumulate enough dusts and pollutants on our skin! It's time to remove all the impurities on our skin using belif Cleansing Oil Fresh. 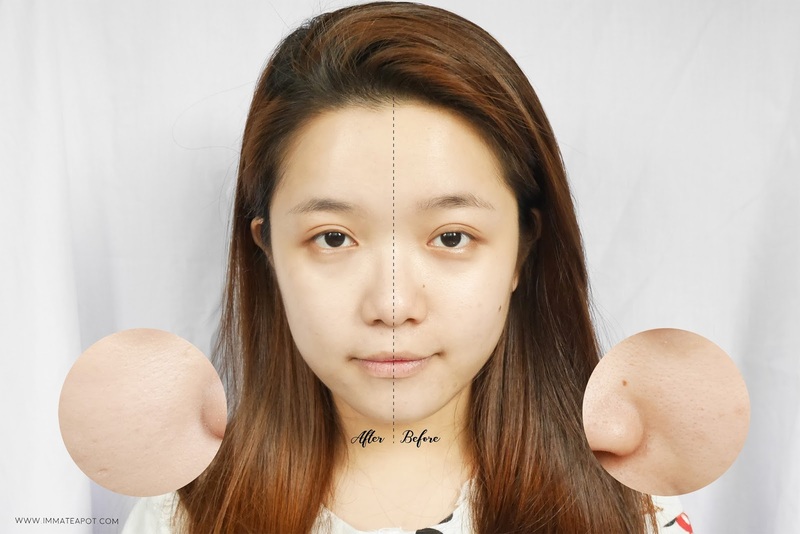 Always bear in mind, always cleanse your face twice (remover + usual facial cleanser), no matter you are with makeup or not, you need to remove everything accumulated on the face. The cleansing is claimed as a makeup remover that can eliminate blackheads and preventing skin breakouts too. It suitable for oily to combination skin types. It comes in a oil-based watery texture, that turns into milk after contact with water. It shares the same herbal scent as in the tinted moisturizer powdery bb. It comes in a gentle formulation, as shown in the picture on right, it isn't strong enough to remove waterproof makeup, so it is perfect for daily usage. Unlike the usual cleansing oil that cause some tinkle feelings on my skin, belif cleansing oil is much gentle and mild. I love how it gives a light refreshing feeling on my skin after the application. My skin is cleansed and the texture has become much moisturized and plump! 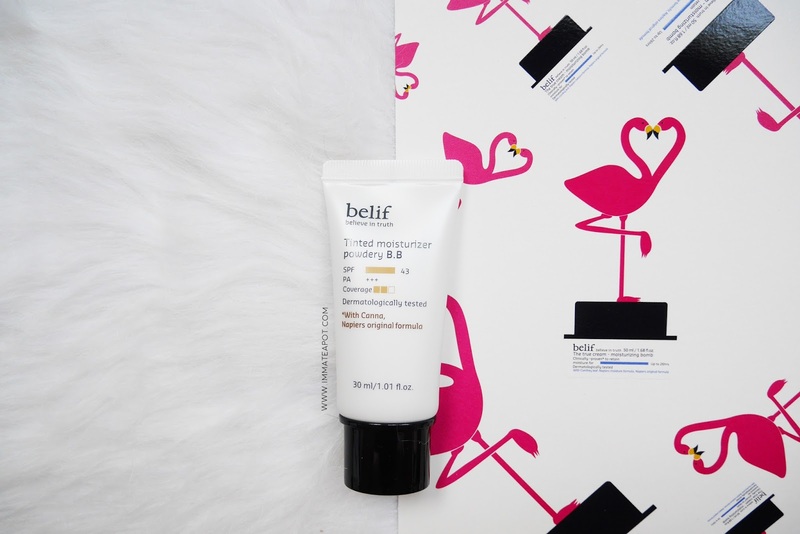 After double cleansing our face, it's time to moisture our skin with belif Oil Control Moisturizer Fresh. This oil-free moisturizer helps providing lightweight moisture to the skin, without leaving the skin shine and oily. It helps tightening the pores and smoothen the skin surface. It comes in a gel form texture which is light and easy to spread, accompanied by a light herbal scent. The texture is amazing, as I can feel how fine is the particles where it penetrates into the skin swiftly when it is spread, leaving the skin with zero stickiness and oiliness. Instantly, I can feel the skin is hydrated and soft. 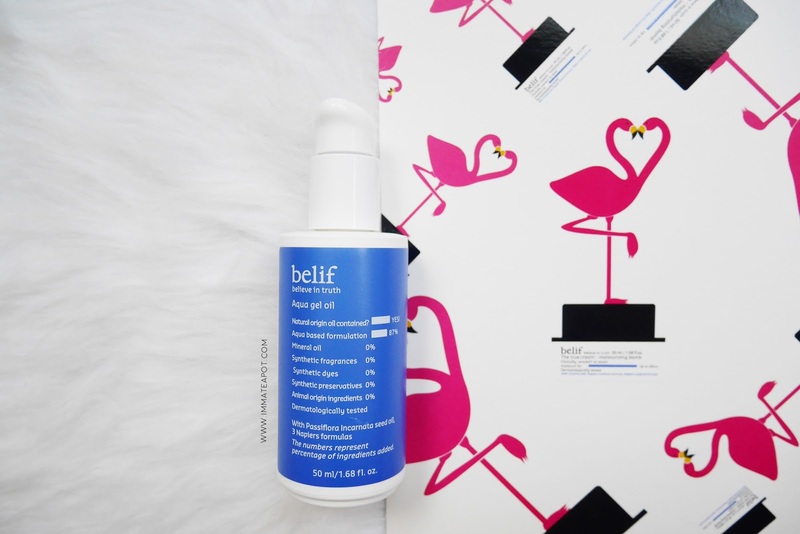 After the moisturizer, it's time to provide deep treatment to our skin with the belif Aqua Gel Oil! It helps to provide instant hydration to our skin, leaving the skin soft and moist without greasiness. It can be used an a primer right before application of makeup, gives an extra glowy and lasting moist to our skin. It comes in a light blue gel form that turns into light moisture oil texture. It gives a very slight stickiness on the skin, as there is a moisture barrier formed to lock in the skin moisture. This is how my skin looks like right after all the steps of cleanse, moisture and treat! My skin has turned out more healthy and glowy! To be honest, I love all the products from belif. This is my very first approach on the products and I am indulged! They are gentle as I don't feel any tinkle feelings on my skin and my skin texture is getting better after 2 weeks of usage. FYI, I have sensitive skin, my skin feels so much calm and soothing after using these products. I guess it works well on sensitive skin too. I heard about this product every where. Whoa! so much different. I wanna try too. Is it nice you get many Christmas gift. I'm aware that we need to wear sunscreen as the sunray can cause cancer too. 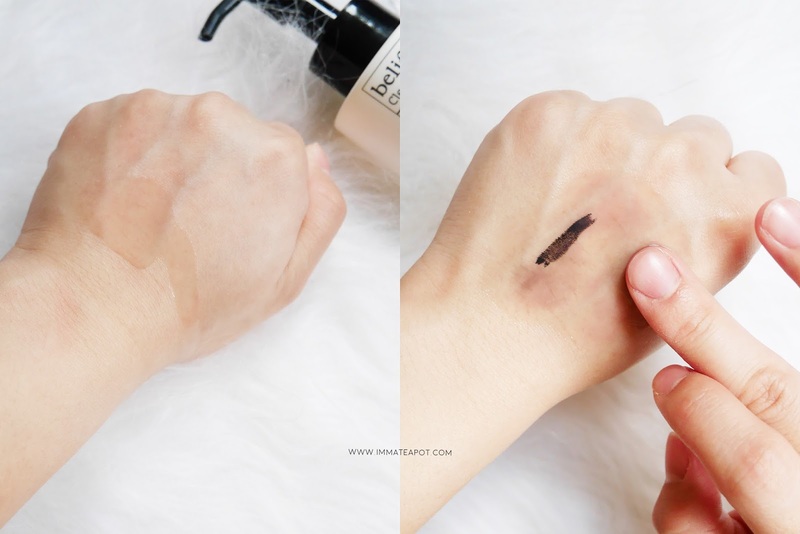 Love the Tinted Moisturizer Powdery BB, looks it mix your skin tone perfectly! Wow it is a love Christmas gift pack. I haven't tried belif products before, and now am encourage to try! Hope it is available at Beauty Bar. Oh, I never tried of this Belif, but this looks great. The result of using this product is just amazing, Will check this out. always been wishing to try but not dare because doesn't seen any review post as yours before! thanks for all the details and reviews! would love to try this products out! Where is this product originated from? Your review makes me really interested in this product. I love using their skin care! The texture is so smooth and easy to adsorb to my skin! Loving this Xmas set from Belif.